Last week, reporter Ori Even passed the security inspection at the Knesset whilst carrying a plastic gun designed by Cody Wilson, a 25 year law student. Ori Even created an uproar as he was able to sit pointing the gun at the Netanyahu, the prime minister from a few feet away. Wilson’s gun may be printed using 3d printing technology. The plans for a printable pistol and for a printable rifle were published on the Internet, earning Wilson a place on WIRED magazine’s list of the 15th most dangerous people in the world. The gun wasn’t loaded and so was no more dangerous than any other piece of plastic, but even when loaded with a conventional bullet, the signal from a plastic gun is much smaller than from a conventional metal one, and so these plastic weapons are causing a bit of a security headache. 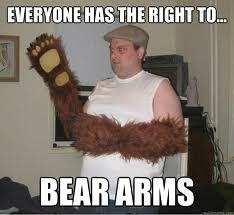 I won’t get into the right for people to bear arms. Although I am sure that American readers will have strong views on the second amendment, I was brought up in the UK where the police do not regularly carry firearms. I think that gun licenses should be limited to those who know how to shoot, don’t have a criminal record and have some need to carry arms. Personally, I surrendered my gun license some years ago, as I found carrying a heavy 9 mm caliber pistol more trouble and responsibility than it was worth. Thankfully, the security situation in Israel is better now than it was a few years ago. So why am I writing about this? Well, apparently there is some controversy regarding whether 3D printed objects are copyright protectable. pursuant to Order in accordance with section 9.
or of the data embodied therein. I would not go as far as former Commissioner of Patents and Trademarks, Dr Meir Noam did, regarding allowing more than one type of protection for the same aspect of an object, and don’t think that the mere fact that an object can be protectable as a design means that it cannot be protected as copyright. Even if there is some law, somewhere, that defines copyright material as something printed, I would like to think that any sane judge would rule that three dimensional objects are not copyright protected merely because they are ‘printed’. I also fail to see the relevance. 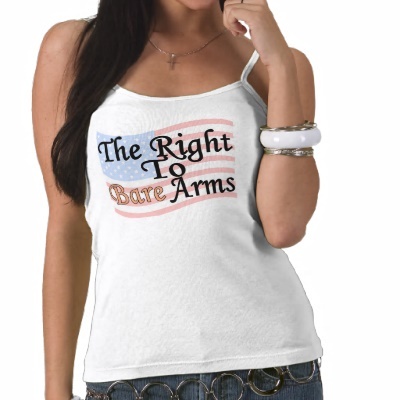 Surely noone is going to try to restrict firearms using copyright. I mean, OK, it is perfectly reasonable to prevent a third party producing a registered design by means of IP laws, or even to prevent copying using copyright, but if the issue is gun distribution or bearing arms, one needs laws against gun distribution. IP laws are not the answer. The criteria for what consists a creative work are well established and do not specify any particular dimension, if applicable at all – as prescribed in the statute that you have correctly cited, it has to be “original”, belong to one of the protectected categories (e.g. artistic) and, well, contain at least a shred (“spark”) of creativity. Whether 3D or 2D, an infringement of the copyrighted work could occur either way, even by way of dimension transformation (viz. producing in 3D an original 2D work, or vice versa) – the same way a format shifting (ripping a CD into mp3’s files, making a movie based on a book) or tanslation (software decompilation, Yiddish poetry in Yemenite…) constitutes an infringement. Admittedly the so called exhaustion clause barring an object which would amount to Registered Design protection from parallel copyright protection is not a water tight piece of legistation. Hopefully, the newly created Unregistered Design Right, which the new bill of design law contemplates upon, would mitigates some of the problemacy. If you download the files, 3D-print the device, and start selling it, you could be prosecuted, but I don’t think copyright infringement would the charge. To the extent that a gun is an “artistic work” it should be protected under copyright law. Certainly in the story you presented, the gun functioned solely as a piece of art, because it was unloaded and therefore non-functional. As far as the role of copyright law, it is to make sure the owner of rights is duly compensated, not to prevent distribution. What is odd here, is getting three non-spam responses to this piece. Sinai,I don’t think that an object intended for mass production like a gun can fairly be protected by copyright law. Benny, I agree that the other charges may be more appropriate than copyright infringement which is a civil wrong, and the author (or a collection society) has to file charges, not police. However, charges can only be brought in jurisdictions that have limitations on fire arm ownership. Sharon, I agree with you that the new Design Law may tidy up loose ends, but then again, it may leave grounds for A.Sh.I.R. like litigation for infringing unregistered designs. Who knows?